There are currently 78,290 users on this website. Firstly I would like to apologise for my complete lack of knowledge. I have inherited my late dads small coin collection and have come across a coin that I just don't seem able to identify and would be very grateful if any one could please help. I have attached a couple of images which I hope will be clear enough. The coin weighs 6 grams and is 3cm wide. I truly appreciate any assistance that you can give me and thank you in advance. Quite a nice example, but looses value, because it has been clipped. Thank you so much for your very quick response. Would you happen to know what the coin would be made of? And to CCF. What are you using to take pics?,photos are real nice. You should crop photos before posting though. Thank you Chafemasterj for the link I will certainly take a look at this. I am trying to find the age of the coin. Only then to realise that there are different Bust and I am trying to match it up with the correct one. Easier said than done as the detail is so very difficult to see. 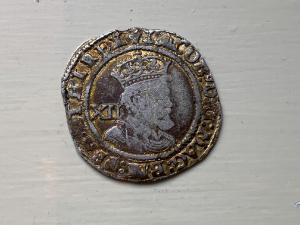 The coinage issues of this reign come in three stages and the portrait style of your coin identifies it as 'third coinage' which means it was struck between 1619 and 1625. It's difficult to see the mintmark clearly in these photos (the mintmark appears on each side of the coin, in the legend, at 12 o'clock), but I'm pretty sure it is either a Lis or a Trefoil. The Lis mark was used between 1623 and 1624, the Trefoil in 1624 only. The ID number for your coin in the Spink catalogue of English coinage is 2668. It hasn't been clipped very much and, compared with a lot of those which turn up, the condition isn't too bad either. I'd estimate a value of around £75-£95, on a good day maybe a bit more. Hogarth, thank you so much for all that information! I have to say that I was pulling my hair out trying to match the coin with the correct bust and date. 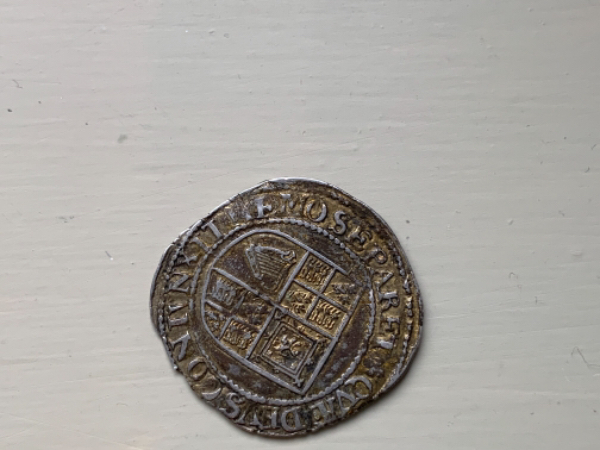 IndianGoldEagle, thank you and yikes to think that this coin was seconds from being thrown in the bin as my mum thought it was a bit of old tat#128556;and they say that ignorance is bliss....Mmmm. Aiglet7, Thanks for the link I will go there in a minute. Thank you all so very much for all your help.